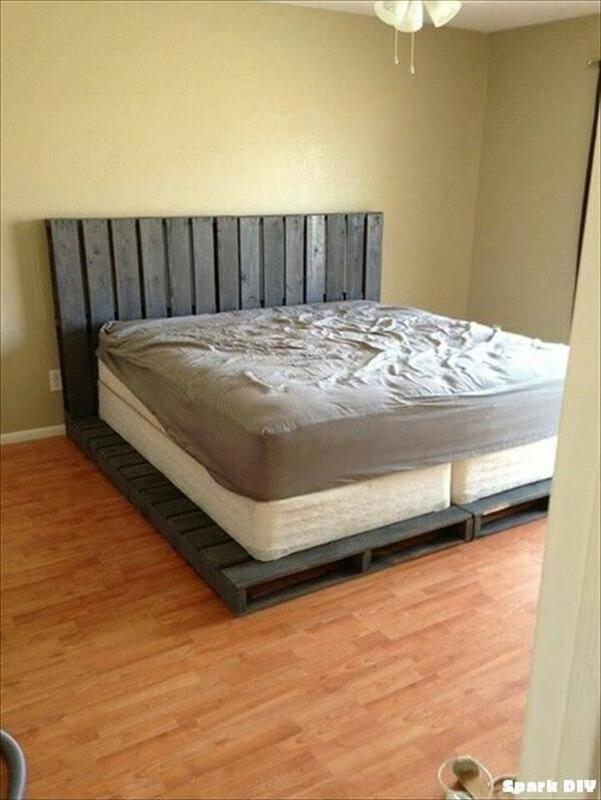 Just align creatively the shipping skids to get simple yet sturdy pallet platform beds or construction all separately like side rails, sleeping section, headboard and foot board for a cozy bed frame, both options will rock! 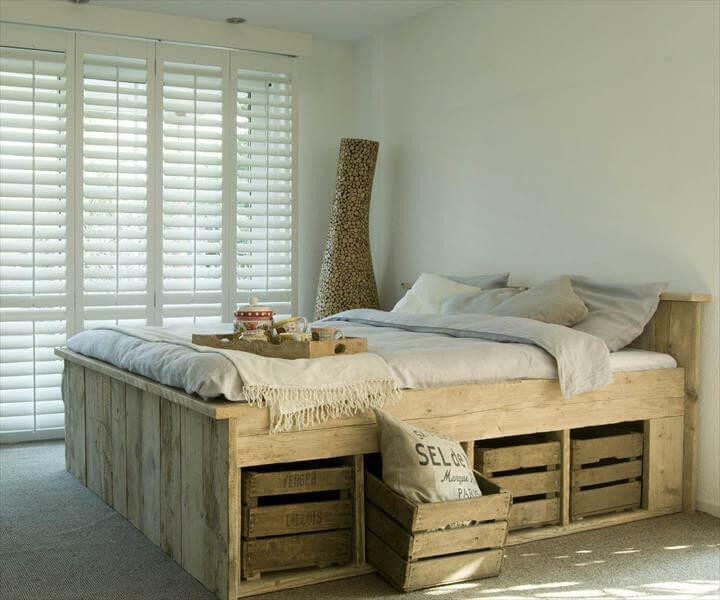 For both these styles of pallet beds you just need perfect hardware for a lasting assemblage and to keep the pieces together strongly! L-brackets, nails, bolts and nuts, angled iron brackets would be perfect for unbeatable assembly of parts. Hot glue will be amazing to meet your adhesive needs and will give the inner strength to used pallet boards! You can also finish these amusing beds with oil, wax, and polyurethane or even with some popular sealants to create more stability or to add weather and water proofing to them! Do try these options to put more strength and durability in your finally finished products and enjoy them for the whole life time without any damage in the shape or to avoid weathering and fading! diy mid century inspired raised pallet bed plan at no-cost! 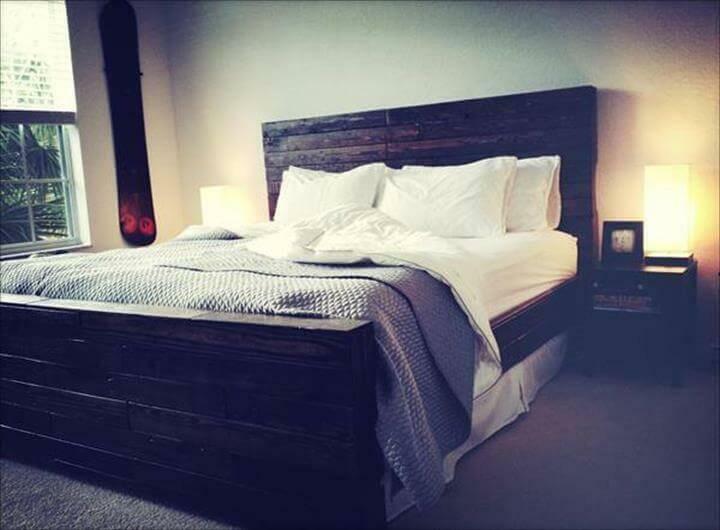 DIY easy-to-install pallet bed plan with accent headboard and footboard! 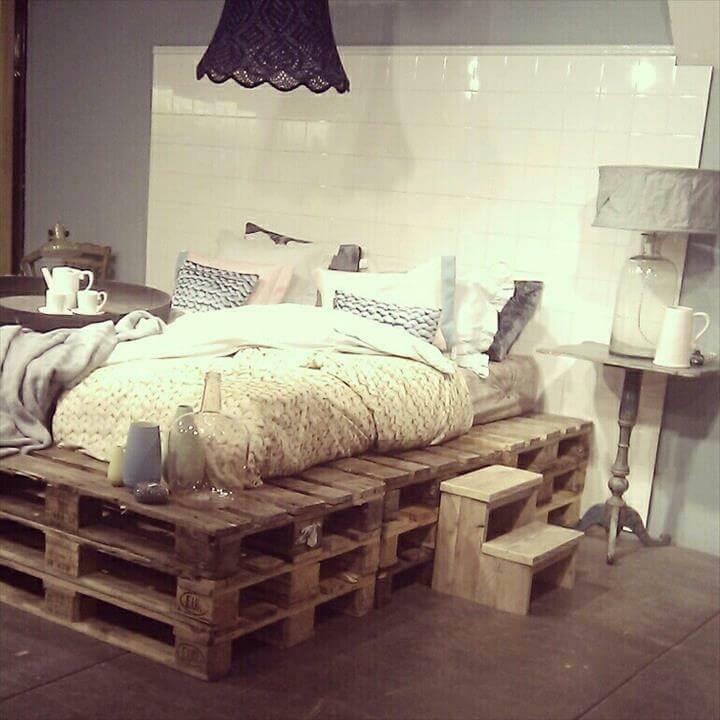 free pallet platform bed with lighted headboard, super creative way to upcycle those shipping skids! 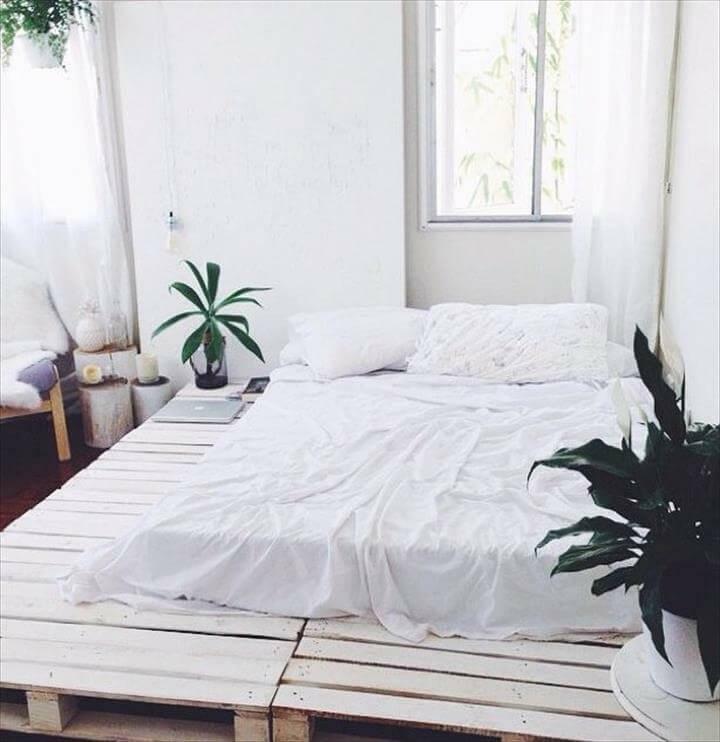 use pallets to create a prehistoric and antique bedroom, DIY pallet vintage inspired bed room with decorative headboard wall! 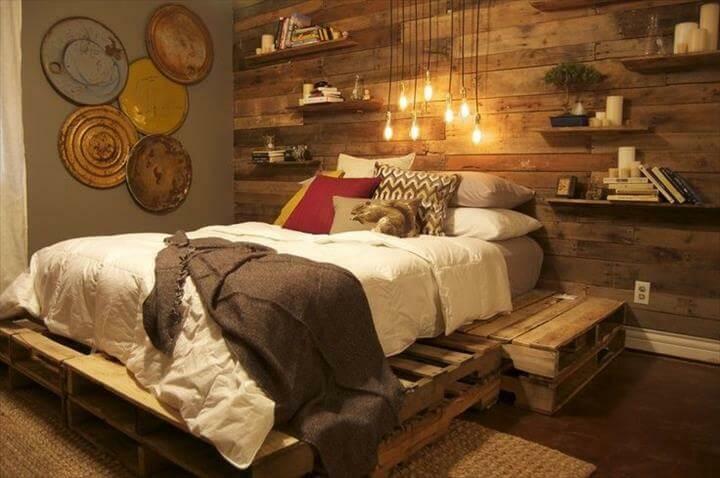 DIY platform bed built out of pallets, cool way to live more with those useless shipping skids! 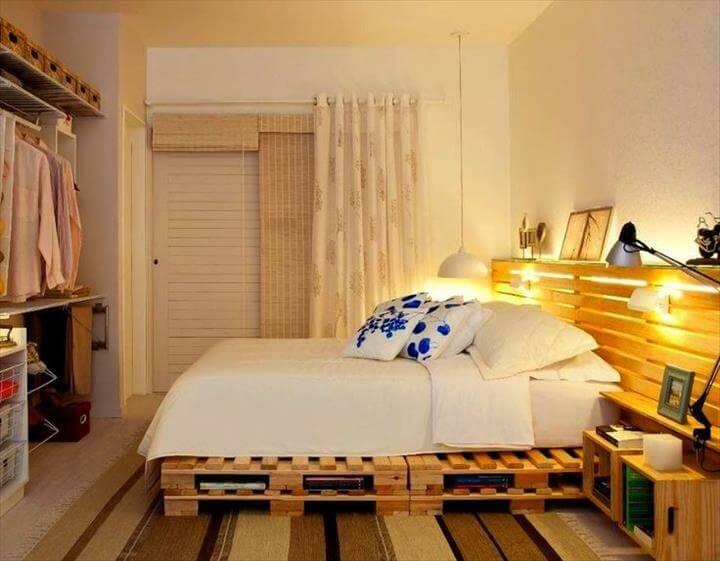 maximize your existing space, try this pallet bed design with storage!